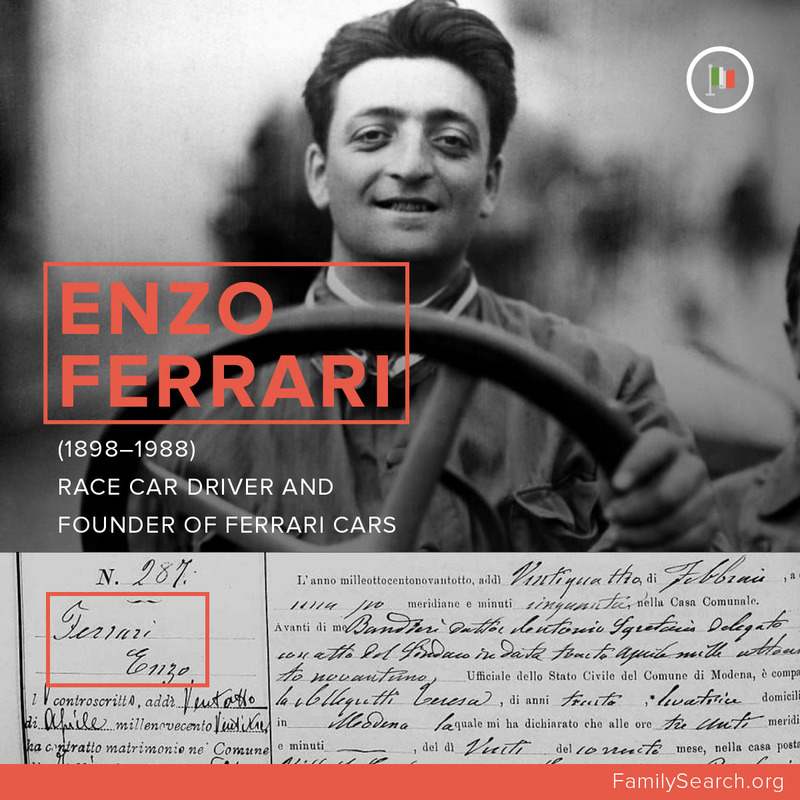 Enzo Ferrari, founder of Ferrari sports cars. 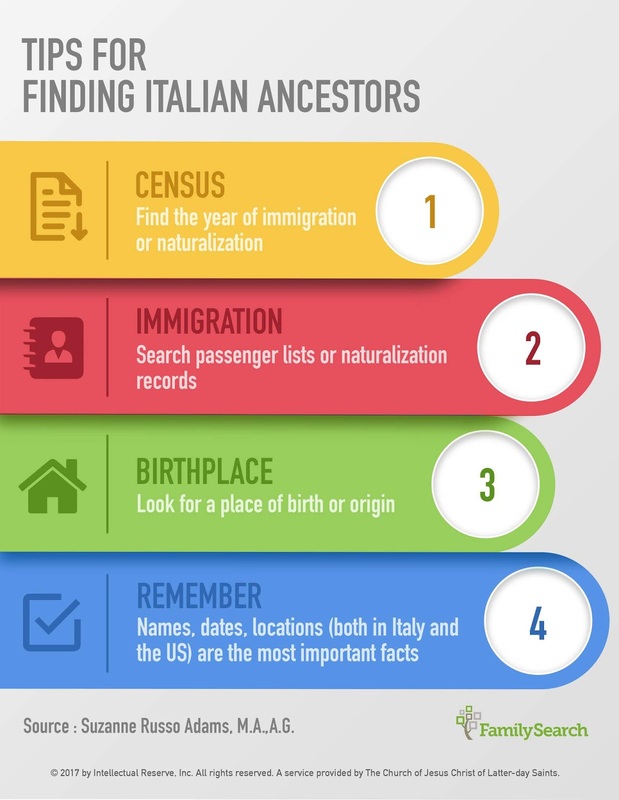 SALT LAKE CITY, UTAH (15 November 2018), FamilySearch International announced free access to over  150 million Italian historical genealogical records—the largest online collection of its kind. The unprecedented initiative is the result of collaboration between FamilySearch, the Italian government, the Italian State Archives (Direzione Generale per gli Archivi or DGA), and many other archives. The free collections include over 200 years of digitized images of birth, marriage, death, and other significant family history records from all regions of Italy and many other repositories. Search the free Italy collections online at  FamilySearch.org. NOTE: These are remarkable records. I've done some searching in them for my grandsons' Italian ancestors and found several birth, marriage and death records. Indexing will really help me find more. But you still have to go to the "Antenati" site to search for what you need and it is SOOOOO slow compared to Family Search. I also search in Luxembourg and the registers are right there on the Family Search site and it is so much easier to search even though not much is indexed. Sadly, this press release is misleading. It says "The effort has reached its initial goal to digitize all available birth, marriage, and death records from 1806 to 1945 found in the civil registrations of Italy in every state archive and make them available for free online." This is not true. Some civil registration records for some towns in Alessandria province are still only available on microfilm and are not available at Antenati either. For examples, see birth registrations for Capriata d'Orba, Silvano d'Orba, and Castelletto Scazzoso.